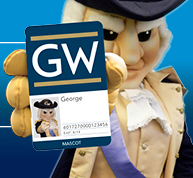 The GWorld Card is your official ID card for the George Washington University. All active members of the GW community are encouraged to get a GWorld card and to carry it at all times to ensure uninterrupted access to services, events, purchasing power and facilities throughout the GW campus. If you have questions or need assistance, contact one of the GWorld staff members or visit us at one of our office locations. All media inquiries should be directed to [email protected].